The rigid and carefully calculated design of these pieces was assembled by hand from using laser cut material. Two designs were made, which inverse and oppose each other as forms. 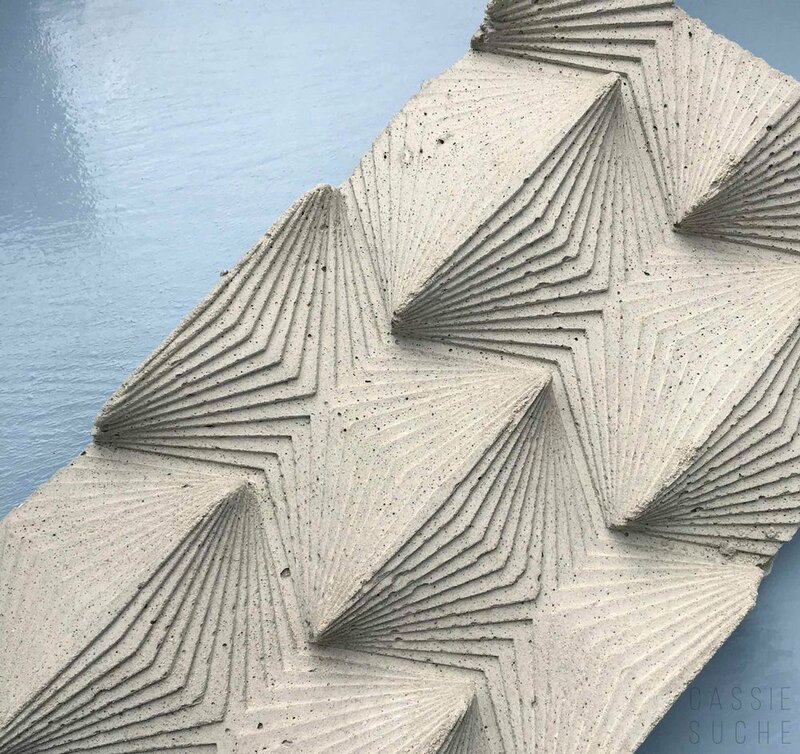 The work features an intricate and highly tactile surface, altered to varying degrees by the materials used for casting.